It’s not every day that presidential candidates have to compete with a high school sophomore for coverage in political news. Despite the fact that Brady Olson, a.k.a. Deez Nuts, has no chance of becoming Commander in Chief, he has managed to capture a lot of attention. Legitimate candidates have already spent millions of dollars on their campaigns, hoping to buy the kind of attention Olson has attracted effortlessly. Now, I’m not a politician; I bet you aren’t either. But I think you’ll find that the principles behind Deez’s rise to fame can work for you too. Let’s talk about some ideas you can use to drive traffic, build your audience and ultimately get them to “vote” for your business with their wallets (to do it – no Super PAC required). Your ability to write attention-seizing content for your website can benefit from each of these forces. The popularity of Mr. Nuts hinges on all three. I’ll explain what I mean in a moment, but only briefly. YOUR business is the main focus of this article. We’ll use Deez Nuts as an object lesson. Problems propel people through life. As such, problems can be open doors into the lives of the audience you want to connect with. An out-of-reach dream is a problem. Danger of living an unfulfilled life. A desire not yet satisfied is a problem. Danger of going crazy if you don’t get what you want. “I have a little bit of (fill in the blank), but I need more!” is a problem. Danger of coming up short. Those problems keep you in business. Many business websites are all about the product, not the people they help or the problems they fix. The psychological factors: protective instinct and loss aversion. Studies show that people will work twice as hard and spend twice as much to avoid negatives than they will to gain positives. Being negative isn’t the end goal here. The goal is to understand what makes people do what they do. The truth is that people are always on the lookout for danger. When we catch a whiff of trouble, we give it our full attention. That’s how we protect ourselves and our loved ones. And that’s a heck of a good way to get attention for your website. 1. Address the problems your ideal customers want to solve rather than focusing initially on the benefits of your product or service. Example: Denny Hatch claims that a two-word headline kept the Center for Enuresis in business for over two decades. 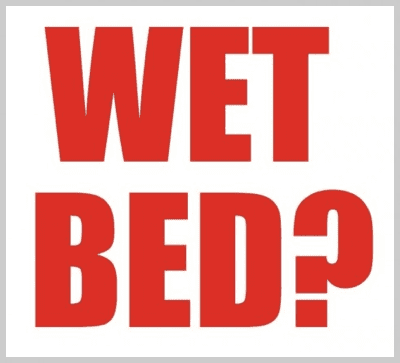 “Wet Bed?” doesn’t give you any hint about what the solution is. Does it really need to? Those two words practically call incontinence sufferers (and the people who take care of them) by name. The implication that relief is possible compels them to find out more. In addition to getting attention, what better way is there to provide value for someone than to help them fix their problems? If your product can help, don’t you have a responsibility to get them to notice you? Which title is more likely to get your attention? 2. Reveal unexpected consequences or hidden risks everyone else seems to be overlooking (or covering up). Is your potential audience doing something that’s hurting them – and they don’t even know it? Sound the alarm! Is their diet quietly making them sick? Does a popular investment strategy put their portfolios in danger? Is their social media activity costing them jobs? They need to know about it. Healthy eating as a disorder? Tell me that doesn’t grab your attention! 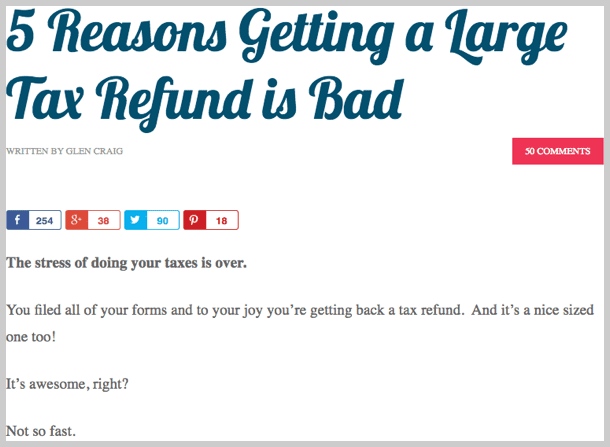 How about this for a surprising perspective: the dangers of a big, bad…tax return? 3. Share shocking statistics that illustrate a threat – the more urgent, the better. If you like making money, this is a pretty important statistic. Remember, it is human nature to procrastinate. How often do you wait until the last minute to take action, even on important stuff. 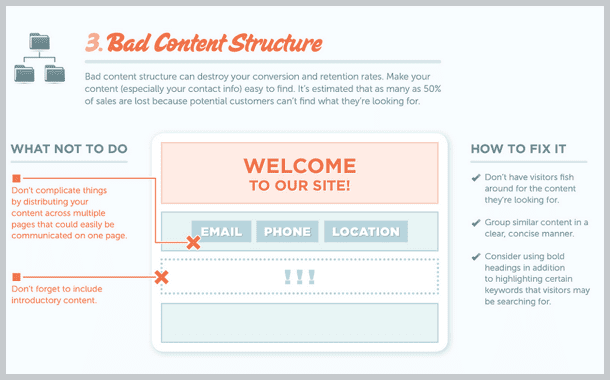 Don’t make it any easier for a reader to put your content on the back burner. I recommend that you to do both… as often as you can. 2. Put your personality on display. Interesting characters always grab attention. When you’re trying to get attention, being boring is the biggest sin you can commit. Obviously, not everyone will like you. But your “tribe” will. Example: Remember that Dollar Shave Club video? DSC’s 2014 revenue was $65 million. They’ll probably double that this year. Don’t be scared to stand out. Be true to yourself and allow others who are on the same journey identify with you. Personality can also be borrowed. Invite people your audience already knows, respects and/or admires to contribute to your site. Interview them. Or just talk about them. There’s a good chance your favorite podcasters gained popularity through the personalities of their guests. Developing your brand’s personality is also a key to retaining the audience you’re trying to attract. 3. Pick a fight. Controversy gets noticed and shared. Meek Mills took a few shots at Drake and the whole situation went viral… Deez Nuts is aiming at every presidential hopeful from the Democratic and Republican camps. In fact, his “beef” is with the entire two-party system. Bonus tip: Employ as many of the five senses as you can. Graphics, videos, podcasts, etc. all create a richer, more robust experience. People also learn in different ways, so providing your content in multiple formats increases the likelihood they’ll get what they need from you – the way they want it. Claude Hopkins, who is considered to be the father of modern advertising, wrote that “Curiosity is the strongest human incentive.” Why do you think TV shows use cliffhanger endings? The audience just has to know what’s going to happen next. Curiosity is a psychological mystery. But you and I know how powerful it is. 1. Offer a “behind the scenes look” or tell the untold part of a story in the news. Big stories are big for a reason. The problem is that everyone is talking about them. You can get some attention simply by talking about the hot topics. If you want a bigger piece of the attention pie, you’ll have to go deeper than everyone else. 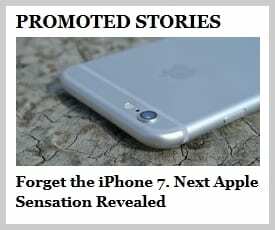 Example: The Motley Fool does a great job with curiosity on the display ad networks. The mystique around Apple and Warren Buffet are commonly used to pique interest. You know it must be working, firstly because you can hardly stop yourself from clicking, and secondly, because they invest millions of dollars doing this kind of PPC. Show off your inside connections. Bring your audience into your well-connected world. Quoting a CIA agent, a Navy SEAL or a neurosurgeon gives you extra credibility and makes you look much cooler. 2. Share secrets and decipher codes. Explain the exotic ingredients in your product (you do have some sort of secret sauce, right?). Give the backstory behind an ancient recipe. There are countless places online to find information on any given topic. Why should someone stop and look at your website? You have to quickly communicate that you’re offering an inside scoop they can’t get anywhere else. 3. Bring on the bold promises and bold ideas. As smart as it sounds, “underpromising and overdelivering” can be dangerous. 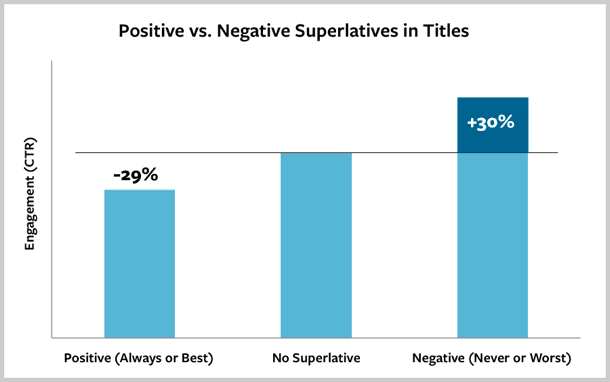 Promising less than you can deliver makes it easier to be ignored – and easier for a competitor to claim superiority. Would you hire a graphic designer whose website said “Your marketing materials will look fairly good. The job shouldn’t take more than six months. I’m also probably cheaper than you think”? This example is extreme to illustrate the point: You can under-promise yourself right into the poorhouse. Do the opposite of what everyone else is doing. Check out this picture I snapped at a car shop in the south suburbs. 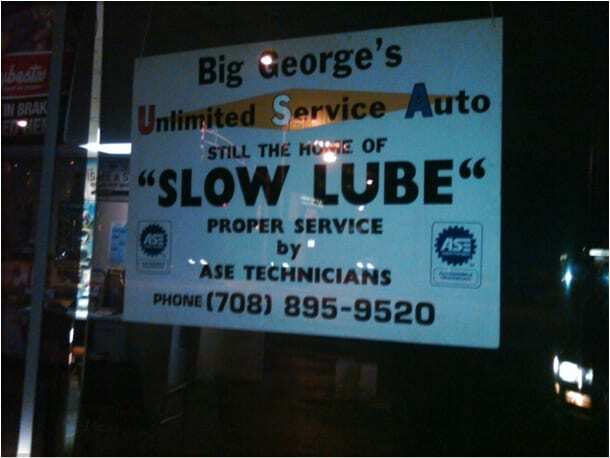 It makes you wonder – what is the quick lube place down the street REALLY doing to my car? Your claims have to be specific, relevant and unique. If they’re too vague, they won’t seem important. If they’re disconnected from what your audience cares about, they won’t care enough to read on. If the claims aren’t unique, or if the “how” is too predictable, curiosity evaporates. Warning: don’t try to implement all of this at once. Look at your website now. Better yet, ask an unbiased person to read it and give you feedback. Or, check your analytics to find out where your site isn’t performing as well as it could be. Then come up with creative ways you can use a few of these ideas to get more attention from the people you want to reach. What Does This Have to Do with Deez Nuts? Many Americans are tired of professional politicians. According to Carly Fiorina, one of the real candidates, “80 percent of the American people now think we have a professional political class that cares more about its own power and privilege and position than on getting anything done,” which is part of the reason why she, Trump and Ben Carson are doing well in the polls. In a way, Deez Nuts has become a very loud voice for the frustrated. When you can give voice to the inner longings of your tribe, you’ll be an attention magnet. The organization that put Deez Nuts on the map initially included him in their polling questions for their own “amusement and interest.” His name is designed to be funny, making the story entertaining and fun to share. Nuts actually has a political “platform” – a fact that adds even more intrigue to the narrative – but few if any people outside of his hometown of Wallingford, Iowa would ever know about it without the entertainment factor. How can you add an element of entertainment to your business? We can’t help asking, Who is this kid getting all these headlines? What’s with that name? How long will this last? Curiosity keeps us tuned in. Give your audience a reason to wonder, “What’s happening here?” Their brains will be buzzing until they get an answer. 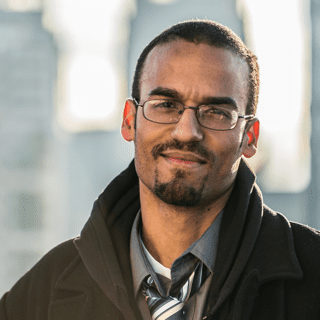 Donnie Bryant is a direct response copywriter who helps entrepreneurs connect with their "should-be" customers. He reveals most of his tricks on his website. You can find Donnie on Twitter. Thanks for the comment, Brother Harris. It is true. And it’s a little shocking how much of a difference it can make to implement these ideas into one’s writing.